Letterhead is used to identify your company on personal written materials. It is recommended that you have letterhead that matches your business card. Letterhead is similar to stationery, which is used for an individual person. 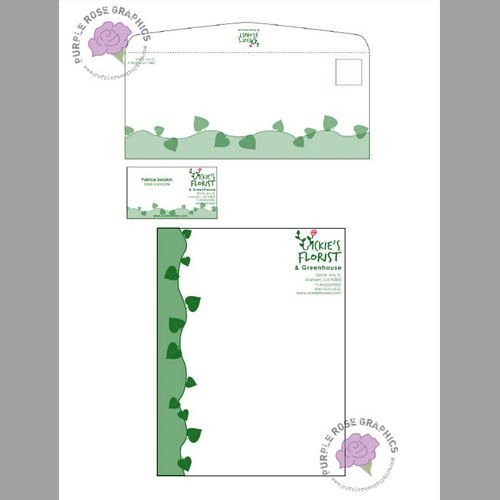 Typical sizes for both letterhead and stationery are 8 ½ by 11, but can vary. This is a very versatile product and has a lot of uses. The best letterhead and stationery has personality and makes use of simple design elements in a unique way. If the letterhead is for a business or one of it’s executives, I will want to make sure the new letterhead fits in with their current marketing efforts. Color typically plays a key role in creating letterhead as does ease of use. If necessary I can make sure that your letterhead is something that can be used in most desktop printers. Want to know more? Contact me today!